Novenas: December 16 to 24, we get together with family and friends every night to pray and sing Christmas songs to baby Jesus. 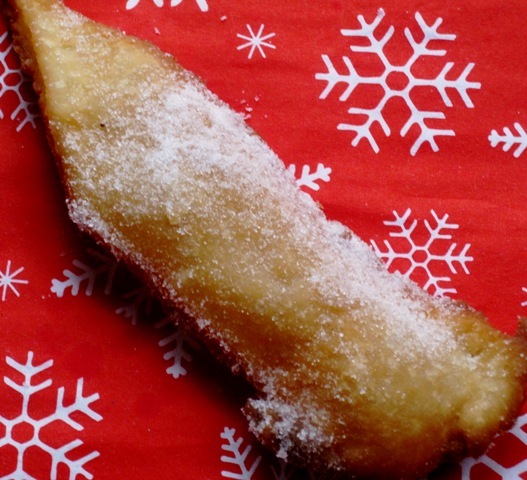 And, of course, we eat our Christmas treats (Natilla, Buñuelos y Hojuelas). El niño Jesus: Baby Jesus is the one who brings presents to Colombian kids, not Santa Claus, maybe it’s too far for him 🙂 . On December 24 baby Jesus comes at 12:00 am and leaves presents around the kid’s beds and the next day the kids find them. Noche Buena: On December 24th, families get together for Noche Buena, our Christmas Eve gathering. There is a lot of food, dancing and presents. Fiesta de Fin de Año: On December 31st families get together to celebrate the end of the year, with food, dancing and fireworks. In my family it was a special day because it was also my grandmother’s birthday. Place the flour and sugar in a medium bowl and using an electric hand mixer, mix well. Add the butter and continue mixing at low speed for about 20 seconds. Add the orange zest and start adding the orange juice. Keep mixing at low speed while you are adding the juice. Once the mixture has pulled together, mix at a slightly higher speed to fully incorporate the ingredients. Roll the dough into ball, wrap in plastic wrap, and chill for about 20 minutes. Sprinkle some flour onto your work surface and roll the dough to 1/4-inch thick. Cut into 1 x 3 ½ inches strips. Add more flour to the work surface if necessary and again roll each strip to about 1/8 inch thick. Place a heavy pot over medium heat and fill it about one-third of the way with vegetable oil. Heat until a deep-fry thermometer registers 340°F. Add the pieces and fry until golden brown. Using a slotted spoon transfer to a plate lined with paper towel. Sprinkle with sugar and serve warm. These look great! One of my great aunts used to make something similar during holiday time. I know in Italian they are called zeppole! Whatever they are called in any language, they are GOOD! It’s great learning some of your traditions. Sometimes these simple desserts are the best. In Colombia we start on December 7th with “El Dia de las Velitas” prior to Dec. 8th The Inmaculate Conception catholic holiday. Lovely post..great to know about christams time in Colombia :)..
I’d be popular if I made this on Christmas morning…. I should save the recipe! I’m from Tunja, Colombia in the Boyaca department. I still remember that the one that was bringing presents to us was Papá Noel, not baby Jesus. Maybe that is another part of Colombia. After “El Dia de las Velitas” family and neighbors get together for the Novena that Erica already explained up above. there is an italian christmas treat that is exactly the same and the name escapes me right now but I grew up eating them…since then I found out there are varieties of the same in other european countries as well…shoot…it bums me out the name isn’t coming to me…I’m gonna wait to send this for a minute. oh wow i love that Jesus brings the gifts thats spot on, send me a few of these babies!! There would be no way that I could eat just a few of these-I would eat them all. 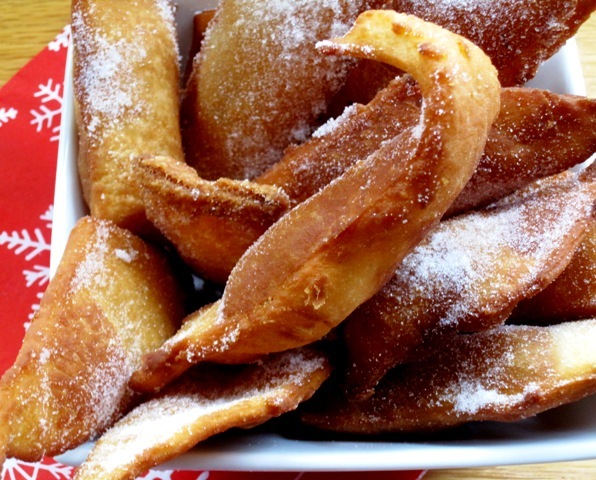 Fried pastry is just so darn good. Love it. Such fun to hear about all the Christmas traditions! These cookies look delicious! I was also born in Colombia. However, I came to the U.S at the age of 7. I do remember all these wonderful traditions and I’m very fortunate to have my entire family here in the States. 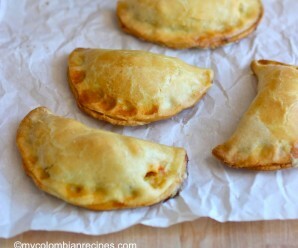 Actually, I was remembering that they were my favorite and yes, my Mamita made them for me as well. WONDERFUL BLOG! I enjoyed not only the recipe but the back ground on your cultural and family traditions as well. Thanks for sharing your wonderful traditions with us! 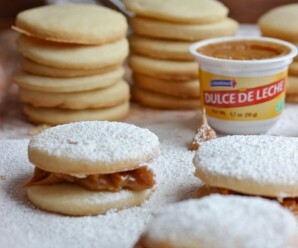 And the hojuelas look scrumptious, I would love to try those! I loved reading about your traditions! These look like a delicious treat! What beautiful family traditions Erica! I especially love the novenas, what a beautiful time that must be 🙂 Thanks for sharing!! It’s great to know your family traditions in Columbia. I agree with Baby Jesus more than Santa Claus. Thanks Erica. My apartment is freezing. Please pass me a plate of hojuelas and hot chocolate. It is great to find these recipes with background of traditions; novenas were a beautiful time, and yes! These are great with “cafecito”. All this is just about baby Jesus, Let’s rejoice and shine the love of Jesus! Thank you, Erica. Thank you guys for all the wonderful comments! Happy holidays! How many hojuelas does this recipe make? Hi Erica! These look so great!!! Thanks for posting this, I will give them a try and let you know how they turned out. I also just started my own blog and would love it if you could visit it worldof-jackie.blogspot. Thanks! I made this 4 times last year for Christmas! Everyone I served it to adored it…but none more that my family. 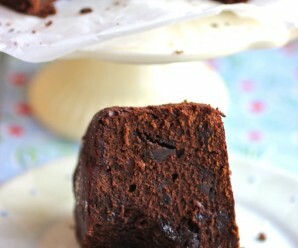 Easy to make, pretty to serve and delicious! My aunt used to make something called Hojaldras. They seem similar, but I feel like she put cheese in them and did not top with powdered sugar. In fact I used to put butter on them! Know anything about this?? She was from Cali. I was born in Colombia and grew up in Bogota, we also had our presents delivered by Baby Jesus… but we also did the novenas in front of the manger until January 6th or 7th, when the three kings reached the baby. Some wonderful days. 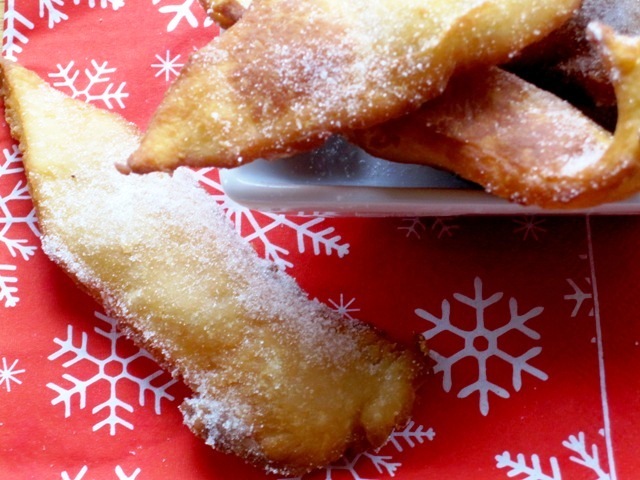 I am very happy to see this recipe, at home we called them arepuelas. While made from scratch are ALWAYS the best, my mom would use flour tortillas and fry them as a shortcut. Nostalgia. Siento mucha nostalgia en este tiempo, más de 24 años que no pasó fiestas de fin de año en mi tierra. Gracias por tus deliciosas recetas, muy fáciles de seguir! Hi I’m making this recipe for my Spanish project and I wanted to know how many it made. Me morí! Por fin una receta sin huevo! Mil gracias! Soy de Medellín y vivo en Alemania hace unos eternos 13 años, y cada diciembre me carcome la nostalgia y me pongo a hacer natilla, bandeja paisa, y ahora POR FIN HOJUELAS! Soy vegana, y por eso es difícil encontrar recetas veganas de comida tradicional colombiana… Aún no he intentado hacer buñuelos con queso falso, pero lo intentaré este año! Mil gracias por compartir la receta!